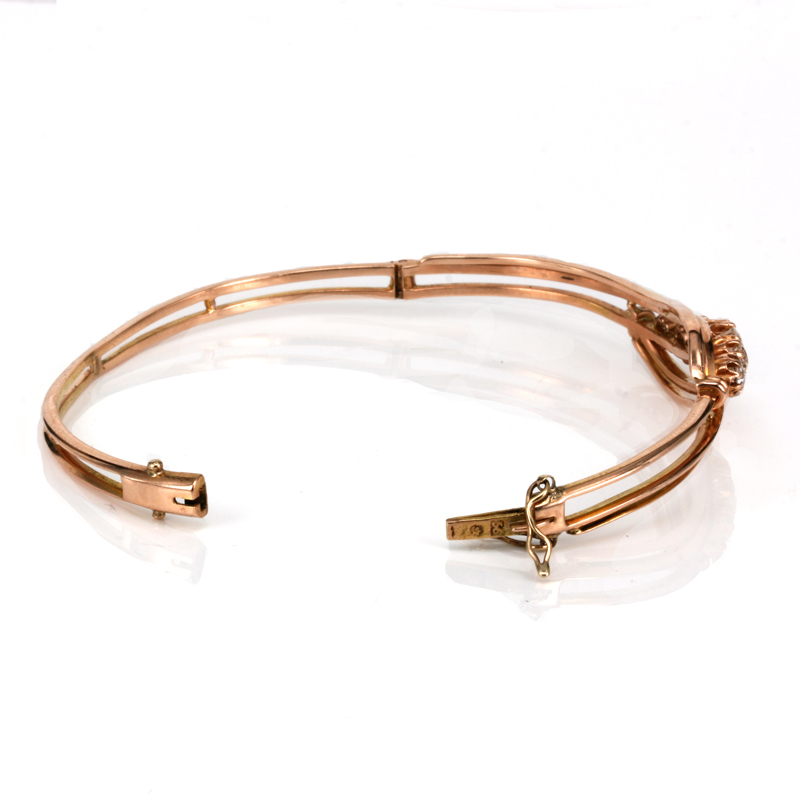 Product code: ES3641 Categories: Sold Items, Sold Jewellery. Hand made in rose gold, this antique Russian diamond bangle looks incredible with the colour of the gold and the sparkle from the antique diamonds and will always be admired every single time that it is worn. Russian antique jewellery has always been highly sought after and this antique bangle dates from the mid 1890’s and is still in superb condition and so comfortable to wear all the time. Made in 14ct rose gold, the five antique cut diamonds total 1.21 carats and are set in a very soft swirl design that gives it a very elegant fluid look to it and with the open work design really adds that extra element to it. Being hinged in design allows it to sit nice and close to the wrist and the bangle is fitted with two figure 8 safety clasps for added peace of mind. There is no doubt that antique Russian jewellery is so beautiful and this antique Russian diamond bangle certainly is so stunning and elegant.